In August of 2018 the Museum was transformed into the new Onöhsagwë:dé Cultural Center! 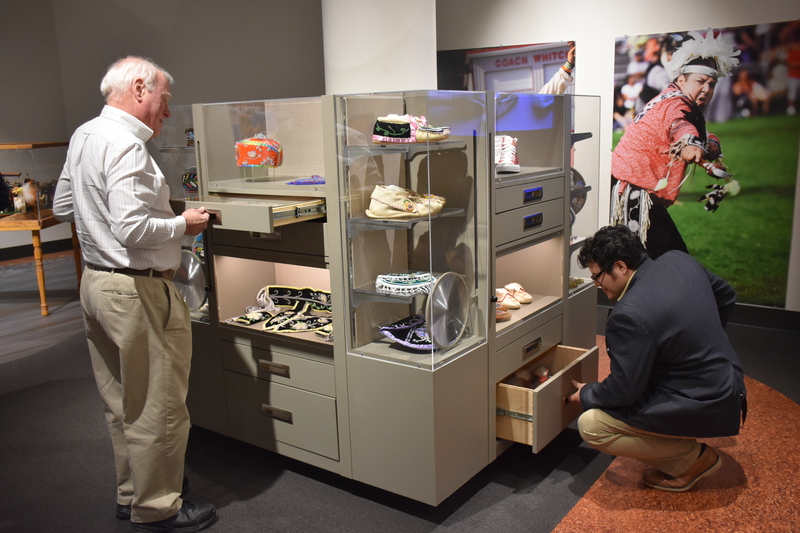 41 years in the making, this impressive brand new 33,000 square-foot building has hundreds of items on display that will be regularly updated. 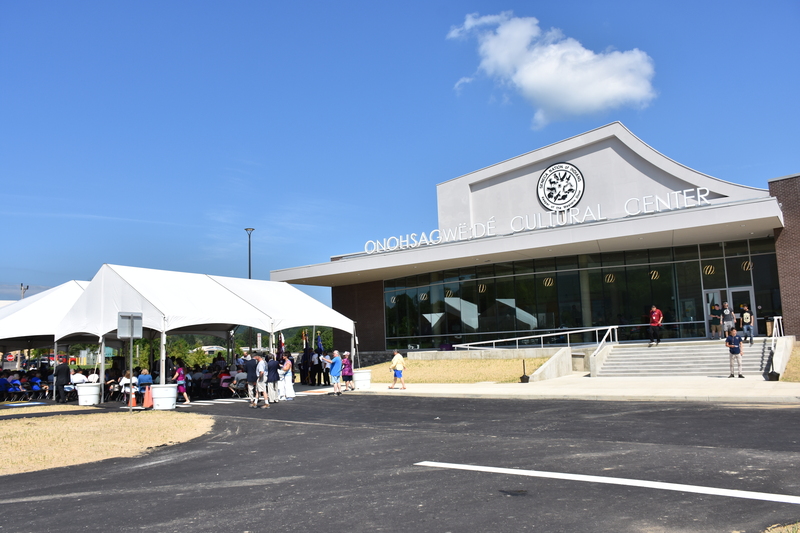 400 people can pack the new auditorium for educational programs, including Native lectures, cultural presentations, plays for children, even concerts. The gift shop has been expanded, and now offers online ordering of exclusive Native-made and -inspired art and other keepsakes. There is a massive longhouse and amphitheater located outside of the building in the back area. The Longhouse will eventually be available for rental. The amphitheater will host concerts, speakers, and events like Heritage Day. 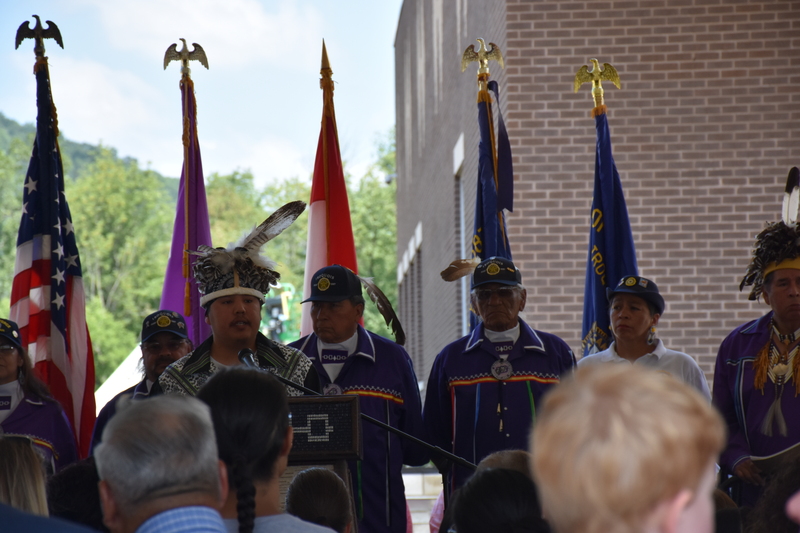 The Seneca Nation is one of the five original Nations of the Houdenosaunee ("People of the Longhouse"). This union of Nations, composed of the Seneca, Cayuga, Onondaga, Oneida, and Mohawk, was later joined by the Tuscarora, who came up from North Carolina to seek the Iroquois' protection. The union, based on an oral constitution, with a matrilineal structure, was founded several hundred years before European arrival here. In 1848, some Senecas dissolved their chieftain form of government and adopted an elective form, comprised of an executive, legislative and judicial branch. The "Seneca Nation of Indians" consisted of those members from Allegany, Cattaraugus and Oil Spring Reservations. The Tonawanda Band of Seneca retained their chieftan system, as they were at that time still fighting to restore lands lost in treaties. The territory of the Iroquois spanned from northern Canada to South Carolina, and from the hudson River west to the Mississippi River. Iroquois Nations still inhabit several reservations throughout New York State, Wisconsin, and Oklahoma, as well as throughout Canada. 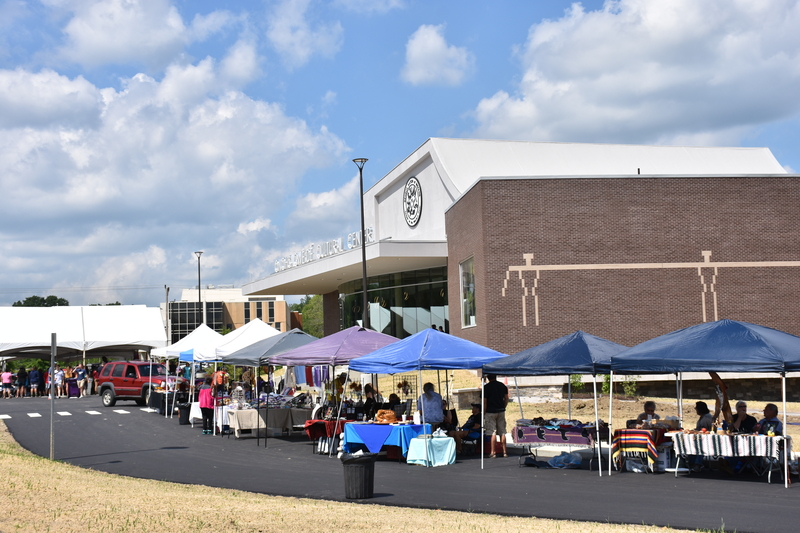 The Seneca Nation operates multiple businesses and programs, including stores, gas stations, health clinics, bingo, a campground, public libraries, Montessori pre-school/Head Start Centers, and other cultural and educational programs. The Museum has permanent exhibits which include the clan animal display, a rebuilt log cabin, and a large Gustoweh traditional headdress to learn what it means to wear one. Iroquois traditional materials, (baskets, corn husk items, beadwork, silverwork, etc.) prehistoric artifacts, and modern Iroquois Art are also on display. 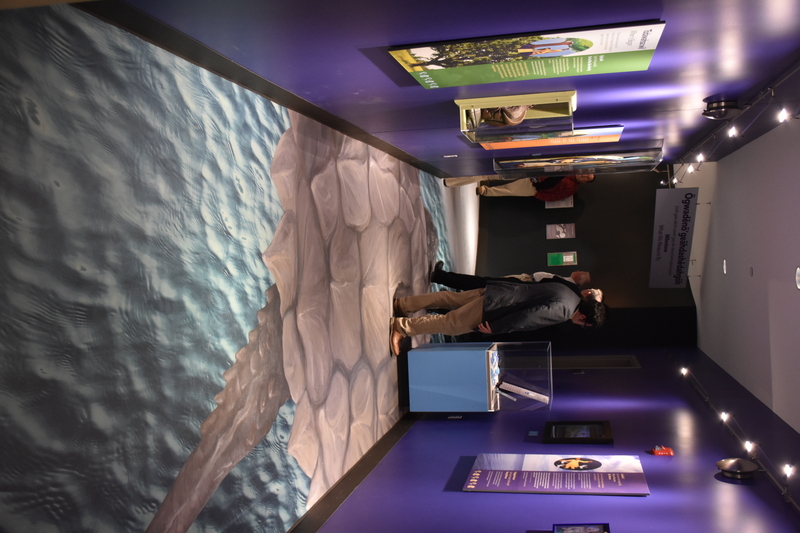 Special exhibits rotate, with the Kinzua Dam exhibit still displayed. The Kinzua Dam Exhibit displays the results of the construction of a Flood Control Project by the U.S. Army Corps of Engineers in the 1960's. The Allegany Seneca's lost over 10,000 acres of their homeland; leaving scars in the land and culture that persist to the present. 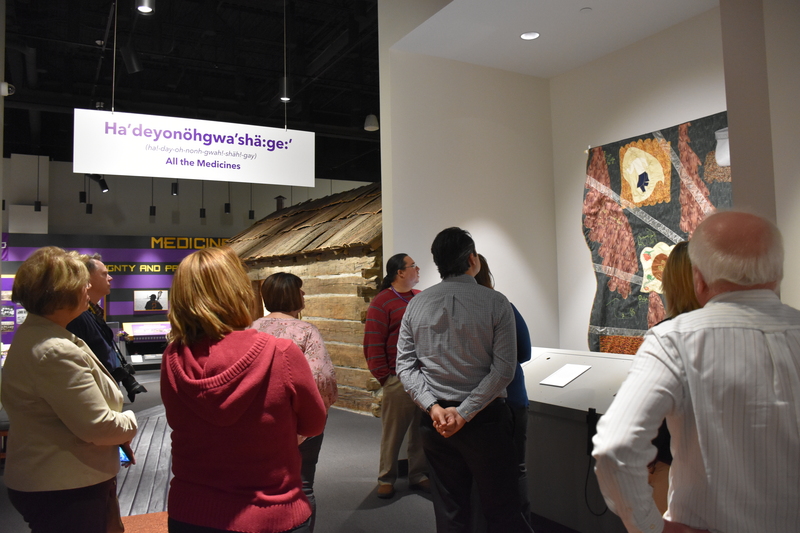 A "Living Artists" series is held throughout the year, wherein Iroquois artists demonstrate and sell their traditional art of craft. There is also a spring and fall speaker series, which cover a variety of topics ranging from history and traditions to current issues that the Nation faces. The Museum Gift Shop offers a wide variety of educational materials on the Iroquois nations, as well as an assortment of traditional, hand-made crafts.